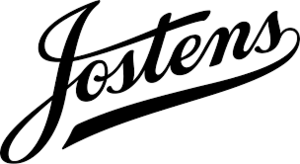 Jostens will be at the High School for seniors to get information about graduation regalia and announcements. Meeting is October 3, 2018 at 7:30 in the auditorium. Bus will leave CAIR at 7:20 and return about 8:30. Parent permission is needed for the bus. Vanessa Swartz originally joined CAIR as part of the Missouri Options Program this fall. She decided she'd like to go the more traditional route and moved to the Transitions program later in the year. Vanessa demonstrated her excellence as a student early on by scoring a 20 on the ACT as part of the Duke TIP program in middle school. She was a model student during her time in Mr. Jarrett's homeroom earning gold sheet status and completing additional coursework to graduate this spring. Vanessa plans to attend Metropolitan Community College in the fall. Vanessa has a love for music and pop culture as well as having an excellent approach to life. It has been a joy and pleasure to work with her this year and we wish her the best. 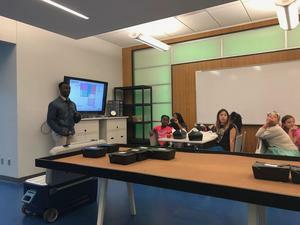 Tuesday, May 15th, the Battle of the Brains winners worked with the architects on structural components of Science City that must be worked around or incorporated into the design for the Big Brain Theory exhibit. The students' proposed design will require some transformation to work around existing structures. The three words used to describe the ideas for this design were contrast, transparency, and connectivity. Our next visit in July will provide us with the opportunity to work the graphic designers. Farewell to our seniors who walked that stage Monday, May 14, 2018 and received their diploma's. See all the events that TK5 took part in this year and how much we grew.